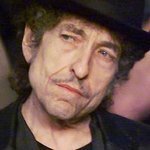 Bob Dylan is to donate some of the proceeds from seven shows on his upcoming tour of Canada to a literacy campaign. The 67-year-old legend is lending his support to the Canwest Raise-a-Reader Concert Series, a campaign that supports local literacy groups across Canada while also promoting the importance of literacy among Canadian families. Other artists to have joined the campaign include James Taylor, Michael Buble and Anne Murray, whose concerts have raised $500,000 for national literacy initiatives. Dylan’s tour kicks off on October 23 in Victoria at the Save-on-Foods Memorial Centre before heading to Vancouver, Kamloops, Calgary, Lethbridge, Regina, and Winnipeg. Tickets are available through www.bobdylan.com and www.selectyourtickets.com.